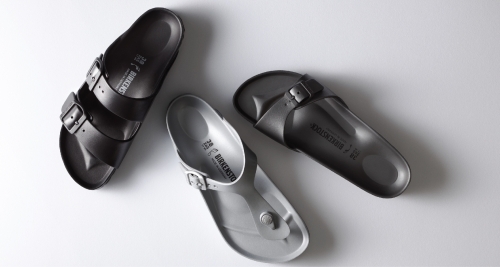 Birkenstock is a global footwear brand that's originated from Germany in 1774. With vast experience in the fine art of shoemaking, Birkenstock guarantees to bring shoes that exhibit the finest workmanship and utmost quality. The shoes were originally conceptualized based on a simple notion of cork, leather and buckles that's made feet happy for over two decades. No smoke. No mirrors. No gizmos. You walk, the shoes moulds to your feet. You feel good. We feel good. That's the deal.